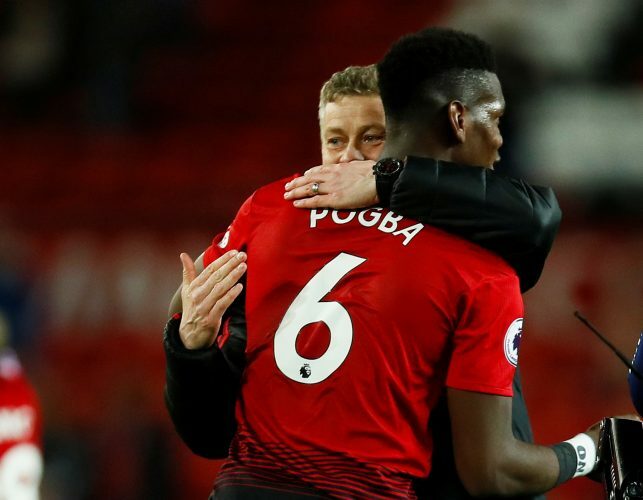 Just like a majority of the current Manchester United squad, Paul Pogba has also improved drastically since the appointment of Ole Gunnar Solskjaer as the new interim manager. The star midfielder has been the main man under the Norwegian, having produced an amazing return of six goals and five assists in the nine appearances he has made under the former super-sub. It is difficult to imagine that the same player was left enduring a spell on the sidelines less than two months ago, after having spectacularly fallen out with former boss Jose Mourinho. In fact, the situation had deteriorated to such an extent, that Pogba was prepared to depart from the club on loan in the January transfer window, with the intention of making the switch permanent at the end of the season. All that changed when Solskjaer came in, with The Sun claiming that the legendary striker sat Manchester United‘s record signing down, and convinced him to stay put at Old Trafford. Ole promised Pogba that he would be the focal point of the new-look Red Devils’ team, and won’t suffer from the sort of treatment he received under Mourinho. The 45-year-old has stayed true to his word, as evident from Pogba’s heavy involvement in Manchester United‘s ongoing 10-match unbeaten streak.